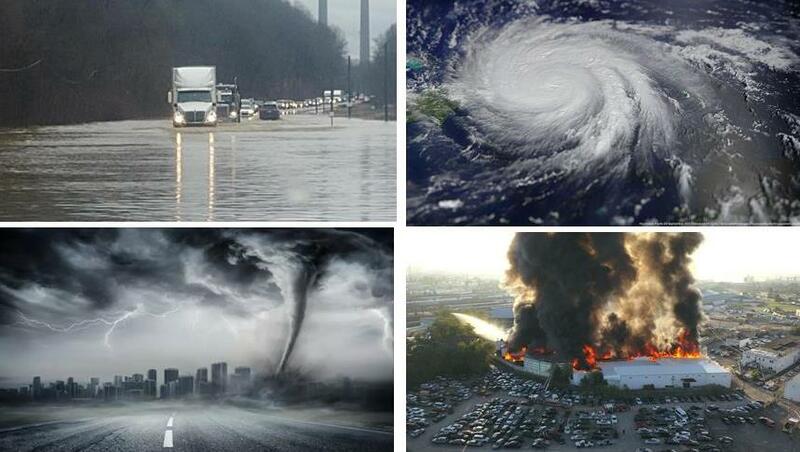 Tornadoes, floods, four-alarm fires, hurricanes, and other natural disasters are a doomed reality for any business. In 2012 I experienced such a disaster while working for an industrial company with no emergency plan in place. Without much warning, a tornado ripped through the rural county leaving a 1/4-mile of destruction along the way. Employees were not alerted where to seek shelter or lockdown—it was complete chaos. I was told by company personnel…”The county was a low-risk area for tornadoes so we didn’t see the urgency in pre-planning for such a disaster.” It’s like watching the news and you’re thinking…that could never happen here. Make sure everyone has photo identification available— local authorities may only permit people who own property in a disaster-affected area. If a disaster should strike, does your company have a plan in place to relocate equipment or inventory to a warehouse while evaluating damage or rebuilding? You should be backing up and safely storing your most crucial data: Your business license, payroll information, contracts, legal documents, financial statements, and any other critical business and customer documentation. To be safe, encrypt your customer data, digitize paper documents and store all data in a secure, cloud-based document management system. Following a disaster, make sure your vital records are securely accessible from a desktop or mobile device you're using. Beyond the basics, create a crisis management team to develop an ever-changing emergency disaster plan that applies to your community. The possibilities of what can go wrong are endless. Next, consider training personnel on the course of action and what to do in the aftermath. Whether natural or man made, large or small, disasters and emergencies can have a dramatic impact on your company’s infrastructure, profitability, and ultimately your ability to keep your doors open. Spartan Logistics is equipped to handle all your contract storage needs including textiles, paper products, food and beverage, glass, automotive supplies, furniture, and more. We’ve been in business for over 30 years, giving us unmatched experience to meet your current, emergency and future needs.